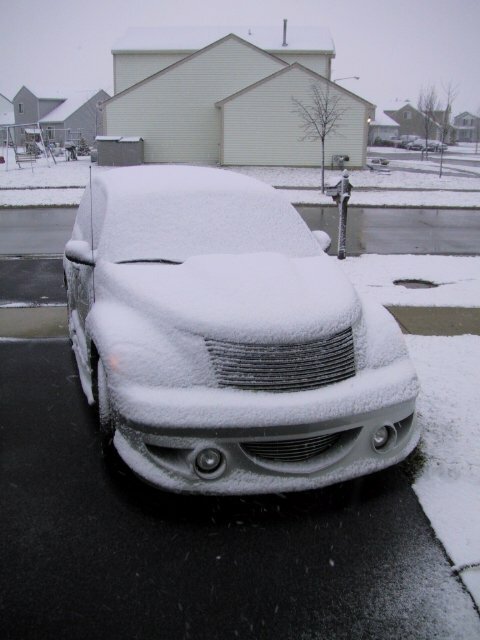 My PT Cruiser got caught outside after the first snowfall of the season. I was NOT too happy, I don't even own an ice scrapper. Good thing I had remote start and melted all of the snow off before I drove it.